Sound effects could play a bigger role in Animoji. Apple is rightly proud of its Animoji and Memoji technology, which uses the front-facing camera on new iPhones to create cartoonish avatars of users — complete with facial expression matching. But the tech could be about to get even more fun, as described in a recent patent application. Here’s how. 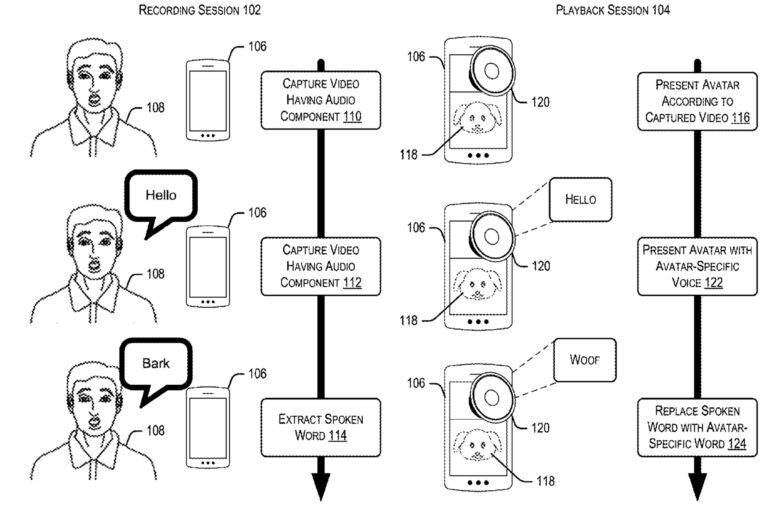 The technology described in Apple’s “Voice effects based on facial expressions” patent application describes how certain sound effects could be mapped to individual facial expressions. That could mean a happy face or frowning face triggering a particular audio sample being played. It could also be used to trigger particular pre-recorded sound effects replacing ones when the user says them — such as using the spoken word “bark” to trigger the sound of an actual dog barking. From the sound of things, this would work a little bit like the feature in Apple’s Messages app, where typing a certain word brings up the option of substituting in an emoji. A diagram illustrates how the technology could work. If you’re over the age of, say, 18, the idea of this being a significant invention on Apple’s part may not be readily apparent. You’re quite possibly equally baffled why Apple would have dedicated time to showing off its Animoji and Memoji technology during keynote events. However, this feature is extremely possible among younger users: the coveted demographic that everyone from Facebook to Snapchat are trying to chase. If Apple can continue building innovative features into its Animoji technology, that helps with its longevity. That’s particularly true with a demographic who crave novelty. Will Apple actually institute this feature? We’ll have to wait and see. It certainly shows that the company continues to think about new approaches to this tech, however.